As we begin our new school year at the Gap, the 7th grade has jumped in with both feet. Students have been introduced to Science and Inquiry. 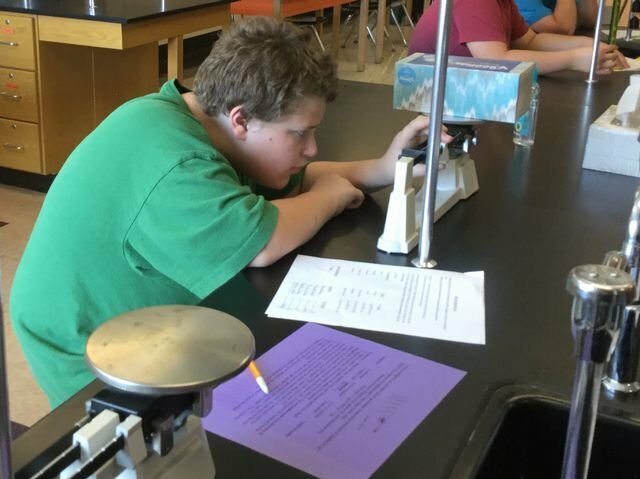 They have actively participated in a diffusion demonstration, created a day experiment testing the amount of salt on the boiling point of water, spent a week manipulating the amount of sugar solution on the responding flower freshness, and identified physical properties of matter using lab tools and measurement.